Finish up some ME2 DLC of course. 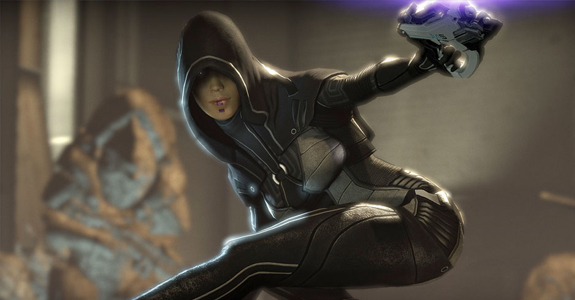 I knew I wanted to go through the 'Lair of the Shadow Broker' DLC that I purchased on XBL ages ago (and never got to) and I got word last night that my copy of Mass Effect 3 was on it's way... so I spent today jumping back in to ME2 to clear up a few loose ends. I loaded up my old save, which hasn't been touched since some time in 2010, back when I finished the game and took a few minutes to get use to the game again. Once I did, I poked around the Normandy, talked with it's characters (in my save I rescued them all, something I was super proud of at the time) and checked in on my journal to see what was new. One mission is all that was left, and it just so happened to be that of the Shadow Broker DLC I mentioned above. I guess I spent some time clearing even the smallest of side quests in 2010. Anyways, I jumped into the DLC mission and was uber-happy to have Liara back on my team. Liara and Garrus are my fave characters thus far in the series and to have her missing for 99% of ME2 really made me sad. 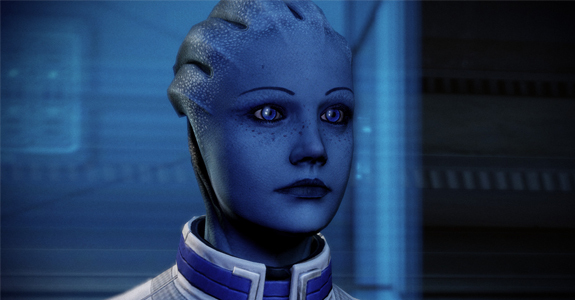 Sure the other characters were f'n great, but I still missed Liara, especially since she was my "romance" choice from the first game. I heard, however, that the DLC in question allowed you to reconnect in some way, with her and that she was set to return to the squad in ME3 which is really what pushed me to play the DLC. I finished the DLC with a smile on my face, Liara is back! :) (Okay, technically she's still doing her own thing, but w/e). Not content with that, I went and downloaded the Kasumi - Stolen Memory DLC pack (that I got on sale at one point) and it just finished downloading as I was writing this. So, I'll be able to jump into that as soon as I post this short blog. I'm rather excited to have more ME content to play and I honestly can't wait for my copy of ME3 to arrive (which should be tomorrow as it was sent out via courier last night... which made me assume it'd be here today, but I guess tomorrow will be the day). 'The Arrival' DLC is downloading as we speak, I hope to have all of them finished when ME3 does show up. No, I will not read your Mass Effect 3 blog post. Wasteland 2? Yeah, why not. When I'm out... these are my weapons. You got your Portal in my Mario! Valve and Steam entering the console race?